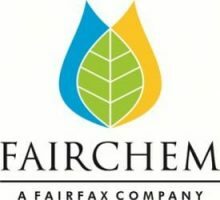 Fairchem Speciality Ltd (FSL), a Fairfax investment company, is an exclusive formation of specialty chemicals company from the merger of Adi Finechem Ltd (manufacturer of oleochemicals and nutraceuticals) and Privi Organics India Ltd (manufacturer of aroma chemicals). The combined entity caters to various industries ranging from printing inks, paints, adhesives & paper coatings, flavors & fragrance, pharmaceuticals, and FMCG. Both the companies were initially acquired by Fairfax India Holdings Corporation (FIH) and were subsequently merged due to potential synergies. FSL has a manufacturing capacity of 45000 MTPA in Adi Finechem and 22000 MTPA in Privi Organics located in western India with more than 65 products in its basket. FSL’s exquisite business model of processing finished goods from waste products serves as a platform for organic as well as inorganic growth in the area of specialty chemicals. Privi Organics India Ltd is the largest aroma chemical manufacturer in India with a production capacity of 22000 MTPA spread across four manufacturing facilities in Maharashtra and Gujarat. The company has a strong clientele base including the likes of Givaudan, Firmenich, IFF, Symrise and so on with exports accounting for ~68% of its revenues. Aroma chemicals form the building blocks of Flavors & Fragrance (F&F) and are used in a variety of sectors. These aroma chemicals are blended to develop a particular flavor or fragrance, which are used in consumer goods like soaps, perfumes, deodorants, air fresheners and detergents amongst other things. The Indian market size of aroma chemicals currently stands at ~$200 mn (~3.85% of global market) and is expected to grow at ~15% over the next few years owing to increasing per capita income, growing urban population share, deeper penetration of FMCG products in rural areas and expansion of organized retail in tier II & III cities. Adi Finechem Ltd operates in two business verticals: oleochemicals and nutraceuticals that contribute 82% and 18% of revenues. Oleochemicals are broadly, organic compounds that are derived from natural vegetable oils or animal fats, which can be used for making both edible and non-edible products. Basic oleochemicals include fatty acids, fatty acid methyl esters (FAME), fatty alcohols, fatty amines and glycerol that are formed through chemical and enzymatic reactions, which in turn are utilized in end use application of surfactant, soaps and detergents, cosmetics, food emulsifiers, paints and inks & lubricants. Out of these, fatty acids account for ~55% of the total production of oleochemicals followed by fatty alcohols. Indian players are well positioned to benefit from surging demand due to abundant raw material supply (India is one of the largest consumers of soya and sunflower oil), lower manpower cost and improving infrastructure. Nutraceuticals are products that provide health and nutrition benefits in addition to the basic nutrition value present in food items. Based on product type, nutraceuticals could be segmented into dietary supplements, functional food, functional beverages and personal care & pharmaceuticals. High levels of health consciousness, increasing awareness of nutritional benefits amongst the customers and a shift in preference from synthetic ingredients to organic ingredients are driving the nutraceuticals market. The Company enjoys cost efficiencies as most of its raw materials are derived from waste products. Privi has made significant investments in manufacturing facilities that convert CST (a waste product of pulp and paper manufacturing), into aroma chemicals. CST is a more cost effective raw material than the more traditional plant based gum turpentine oil (GTO) and is procured through annual contracts while GTO has to be purchased on volatile spot markets. The Company has six months to one yearly fixed price contracts. On 26th April 2018, there was a major fire at Privi Organics unit-2 plant. As per management estimates there was a loss of Rs.69.5 cr on account of inventories, plant & machinery & other fixed assets which has been booked in Q1FY19. The plant was adequately insured & the Company expects to recover some of the losses in due course. Q1 topline growth was a low 4.3% at Rs. 238.9 cr but operating margins expanded 263 bps to 13.3%. The Company reported a net loss of Rs.34.6 cr due to exceptional loss of Rs.69.5 cr as mentioned above.